Poor Harold – he’s become unbalanced! 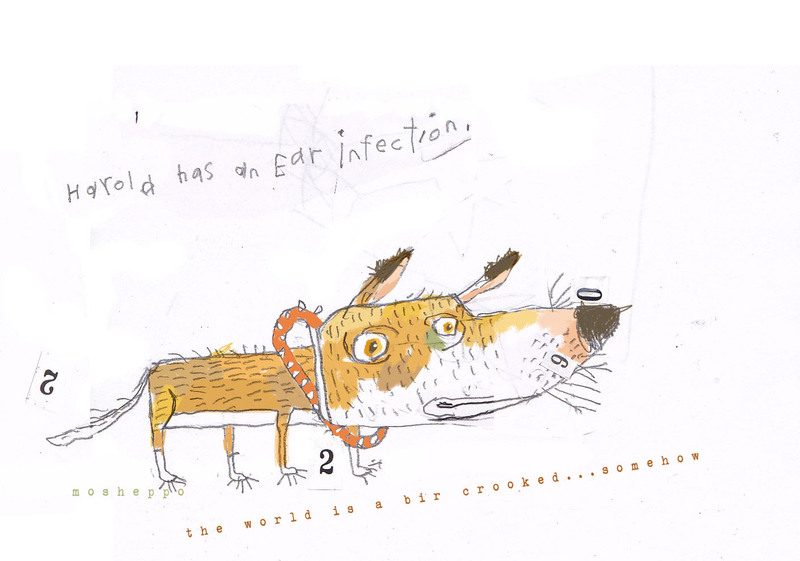 Grady has an ear problem, too – he can no longer hear the doorbell. i bet harold’s an orphan.